Please use the form below to contact us by email. If you would like to send a photograph of your instrument to more fully describe a needed repair, you may upload a JPG or PNG file using the form. We look forward to hearing from you! "Deciding to hand over my company was tough. But with Andres, I know my reputation is in good hands." 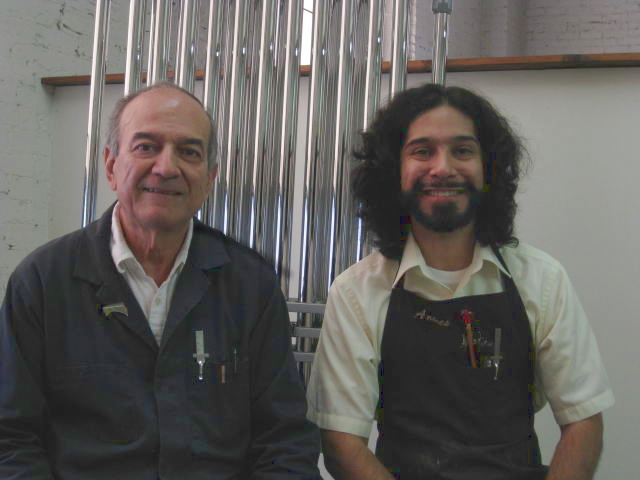 "Working beside the last Deagan master tuner is a privilege, but to carry on his legacy will be an honor."